The National Wayfarer and Albacore National Championships are being held at Sail Parry Sound in Parry Sound this weekend. 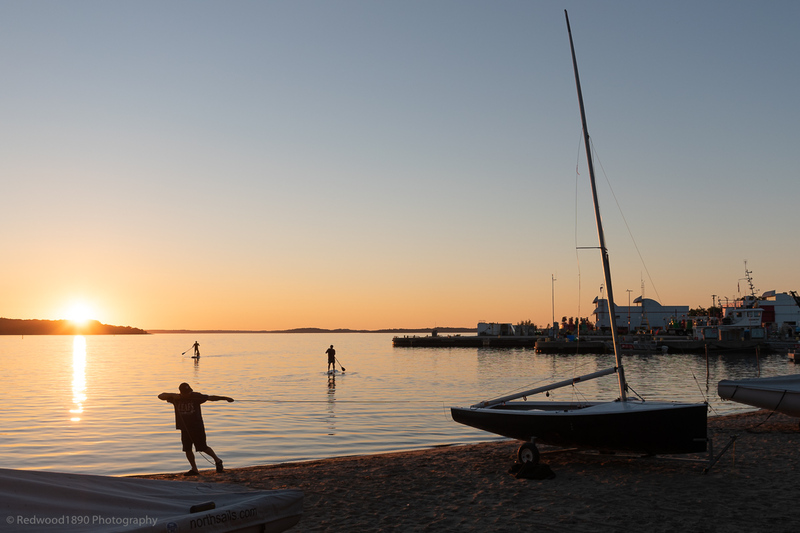 This is a shot of some of the action taking place the Old Town Beach Thursday evening, sailors and paddle boarders. Drop by to watch the races on the Big Sound. The action is all three days starting at 11:00 on Friday and Saturday, and 10:00 on Sunday.